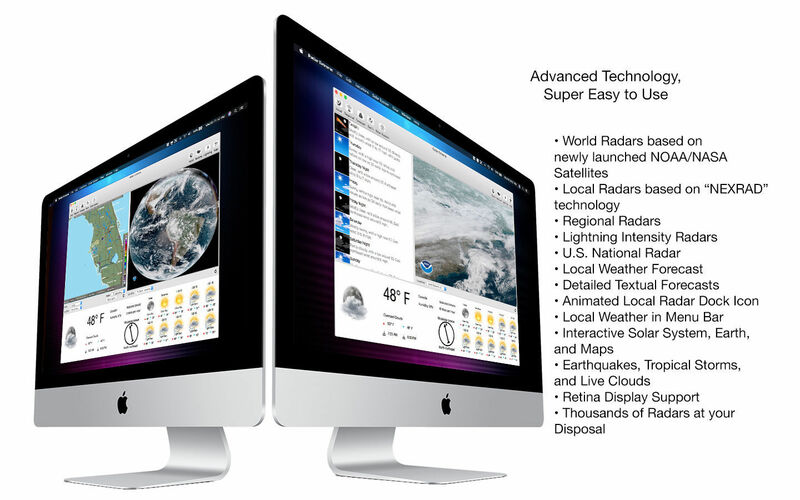 Doppler radar for the Desktop. Is there a better alternative to Radar Extreme? 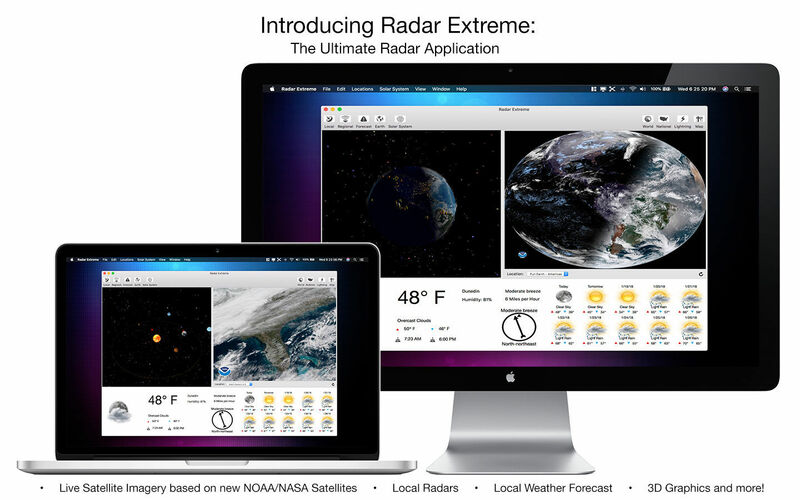 Is Radar Extreme really the best app in Weather category? 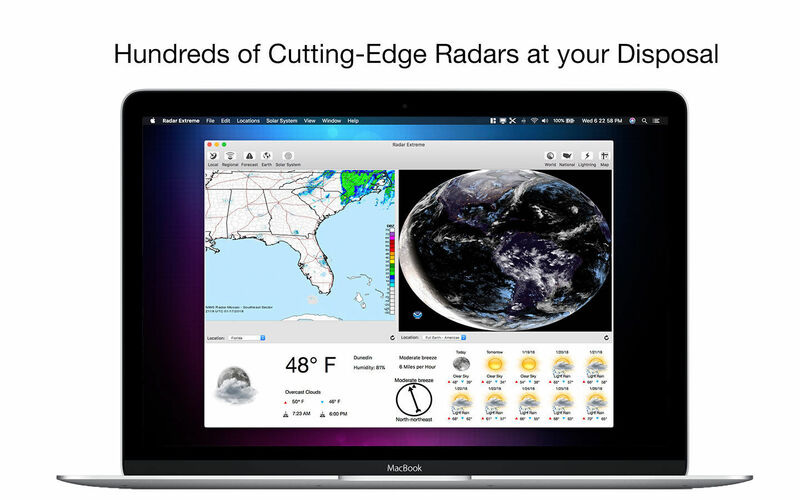 Will Radar Extreme work good on macOS 10.13.4? Radar Extreme needs a review. Be the first to review this app and get the discussion started! Radar Extreme needs a rating. Be the first to rate this app and get the discussion started! 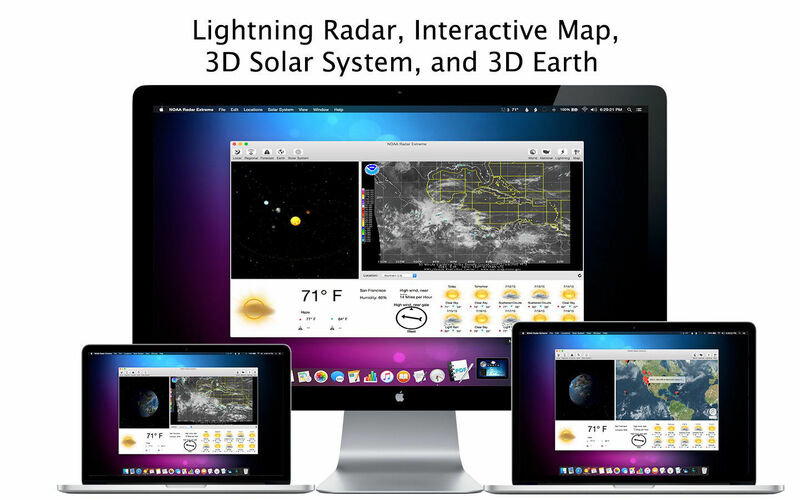 Radar Extreme is a powerful and easy to use radar, weather, satellite, lightning, earthquake, and hurricane tracker. Radar Extreme features hundreds of NEXRAD local radars, dozens of regional radars, 14 world radars, local weather conditions for over 200,000 locations around the globe, 7 lightning intensity radars, a national U.S. radar, even interactive solar system, 3D Earth, and map that show all recent major earthquakes, tropical storms, and even live clouds. Radar Extreme also offers extremely descriptive textual local weather forecasts for day and night; letting you know exactly what conditions will be like for a given period of the day " and whether or not you should bring an umbrella. 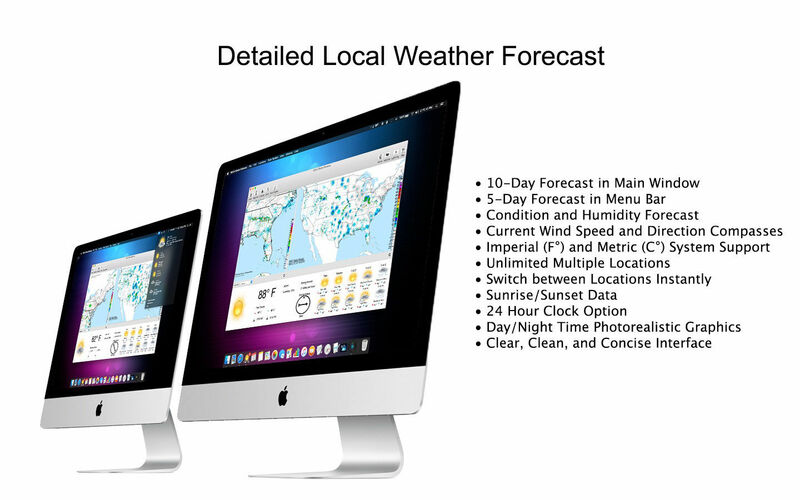 Local Weather features photorealistic day and night time graphics, ten day weather forecasts, wind speed/direction, humidity, highs/lows, and much more. Local weather conditions are shown in the menu bar (Dark Theme compatible) and a live animated NEXRAD local radar in the Dock. All three panes can be resized independently, with full multi-touch gestures included.